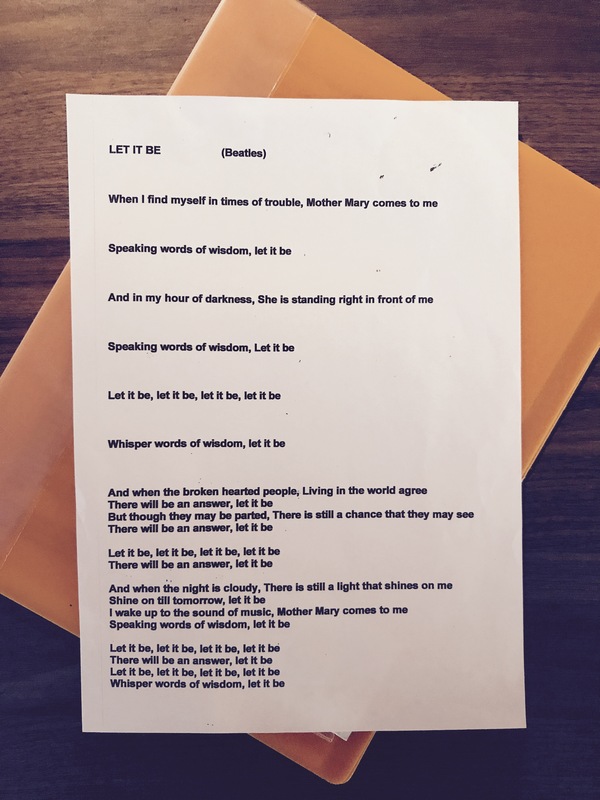 One of our daughters is practising the song “Let it Be” by the Beatles for a choir performance at Easter. I had not known until recently that the “Mother Mary” mentioned in the song refers to Paul McCartney’s own mother who died when he was 14. The song was written after he dreamed of her appearing to him many years later saying “Let it be”. The song feels like the original version of “Let it go” from the movie Frozen, which is another song about letting go while dealing with angst. But I think that before these great songs, their sentiments are in a record of Jesus words from John. In times of trouble, true comfort is knowing Jesus. 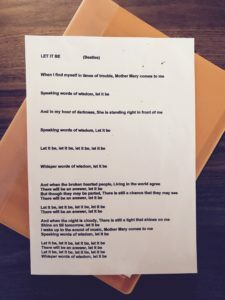 It helps me to “let it be” knowing what Jesus did for me at Easter…. We look forward to celebrating in 2 weeks time. Thank God for the successful sale of Ariel’s parents home last weekend, achieving a result that will generously provide for his mother and her care. Thank God for my Grandfather Max’s 98th birthday, Ariel’s mothers 79th birthday and my parents 50th wedding anniversary – all people who have supported & loved us for so long. For Lara and Keira who will be overcoming some separation anxiety to go on school camp this week. For Ariel’s leg pain, which has flared up again and is a …pain! Let it be, Let it go and Take heart!